Why Do Butterflies Have Spots? Some butterflies change their spots, and scientists say they've found the reason why. 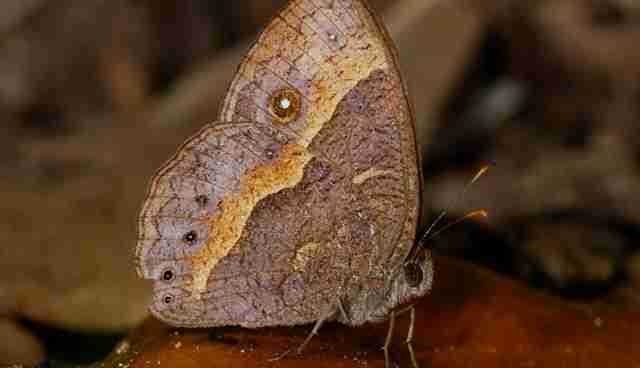 But the butterflies who hatch in the dry season, have spots that are shrunken and a duller brown - a curious difference only recently understood. In a study published Tuesday in the journal Proceedings of the Royal Society B, biologists took a look at which animals were snacking on these bugs in the wet and dry season. In the warmer wet season, mantises are out in force. The eyespots act as a false target, luring the mantises' attacks toward the wings and away from more vital guts. Though praying mantises might scuff up the butterflies a bit, the distraction allows the feathery insects to flap away to breed and lay the next generation. The idea that the external environment can result in genetic changes may seem like it flies in the face of grade school biology - human hair, for instance, doesn't run from black to brown to red as babies are born in different seasons. But there are organisms who hatch with different characteristics thanks to what's going on outside their eggs. Monarch butterflies, for example, go through generational changes. Every fifth generation or so, a group of marathon fliers is born, able to make journeys that are hundreds of miles long. Eyespots are a more visual example of this change. "Eyespots are conspicuous, they draw your attention and are thought to be used by many animal species to avoid death or attack, by either startling or confusing the predator," said Oregon State University biologist and study author Katy Prudic, in a statement. 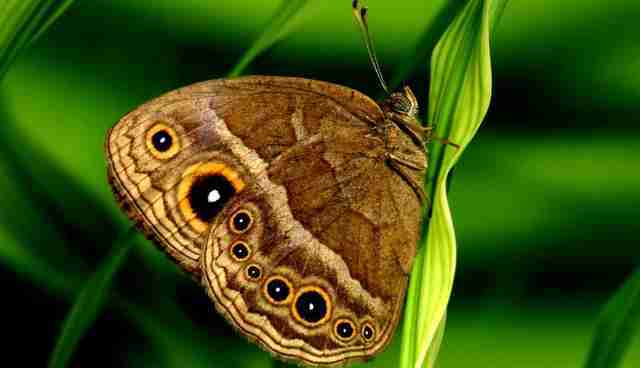 "Many insects have eyespots, which suggests they are an important adaptation."